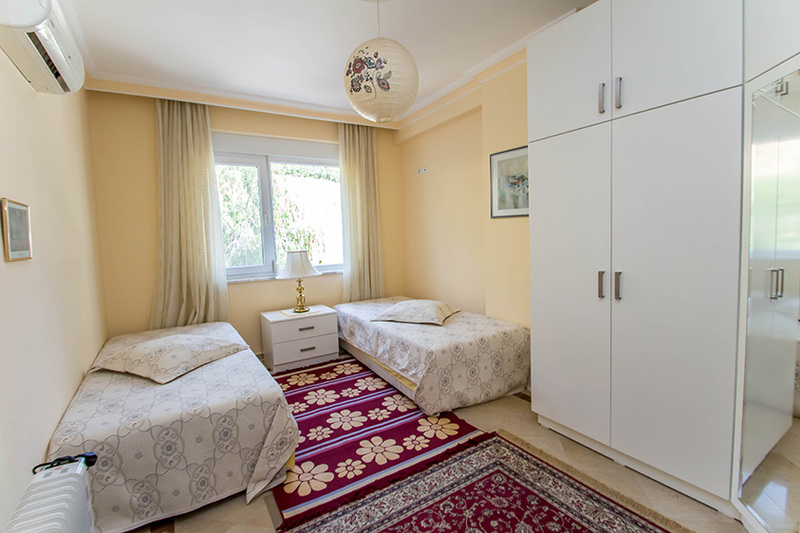 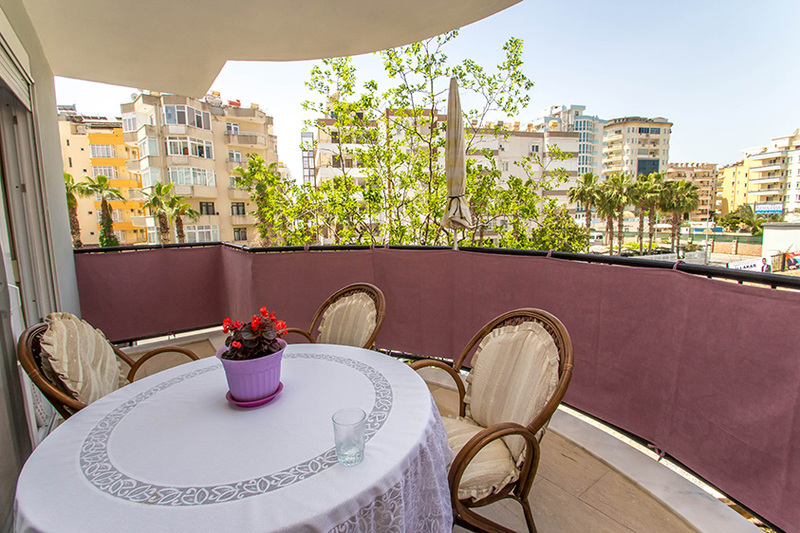 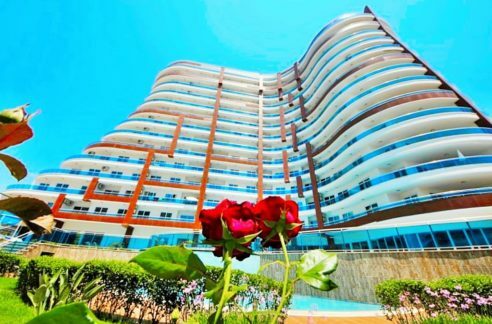 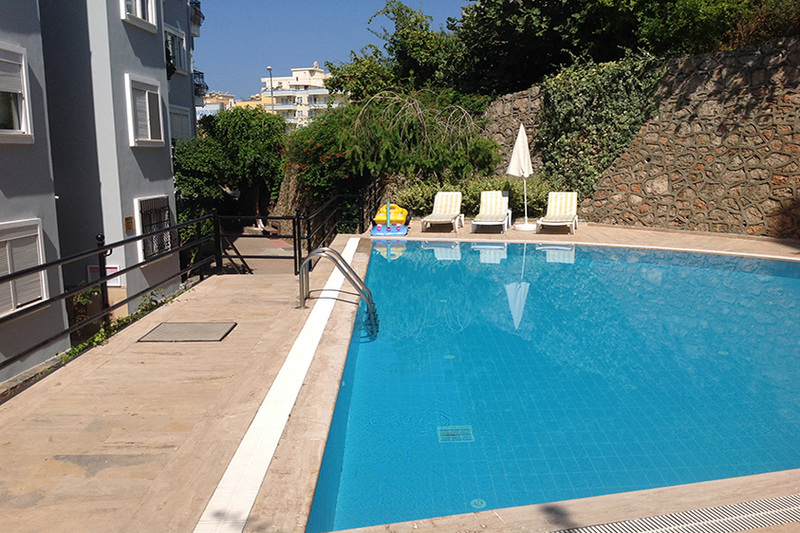 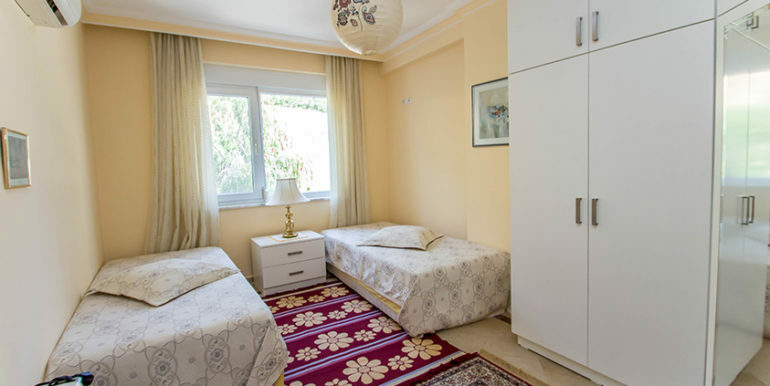 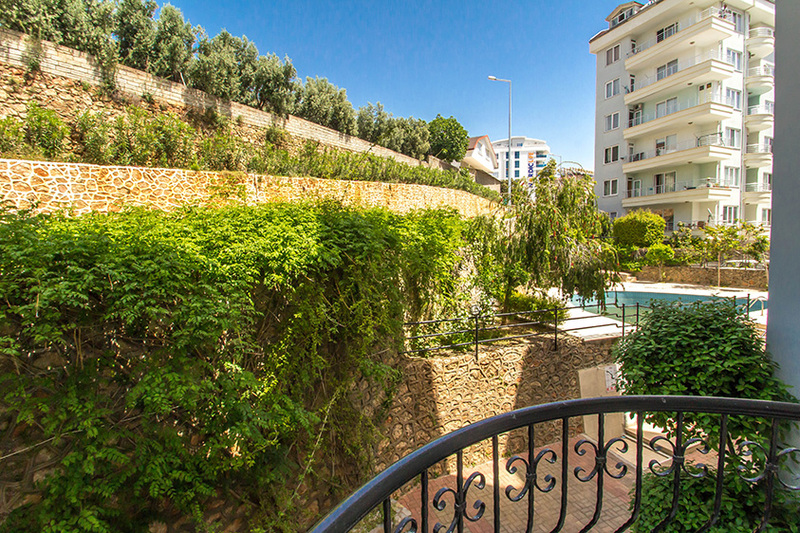 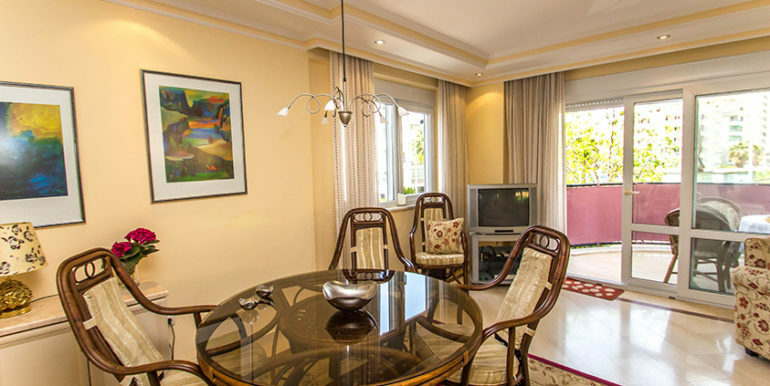 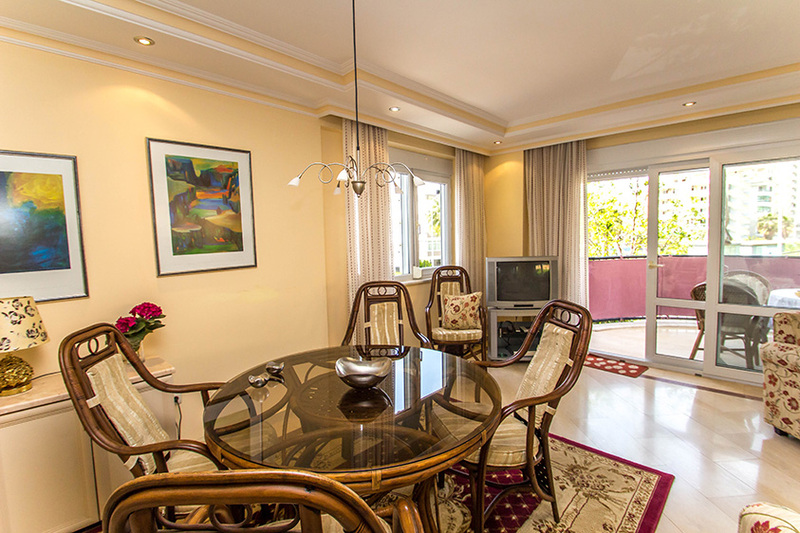 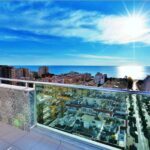 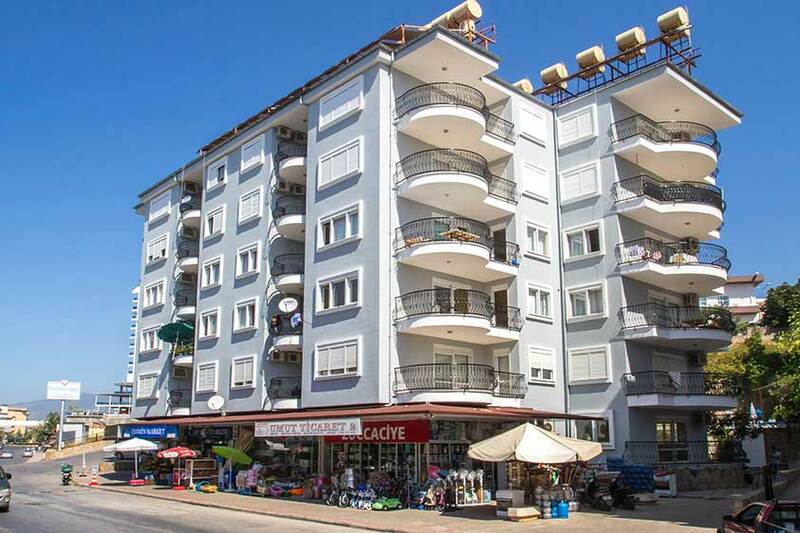 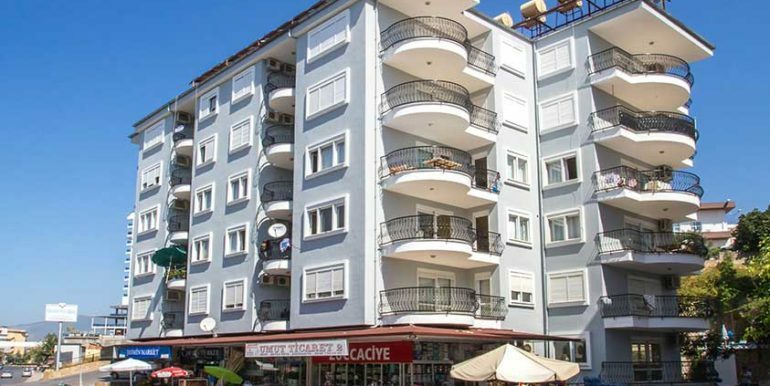 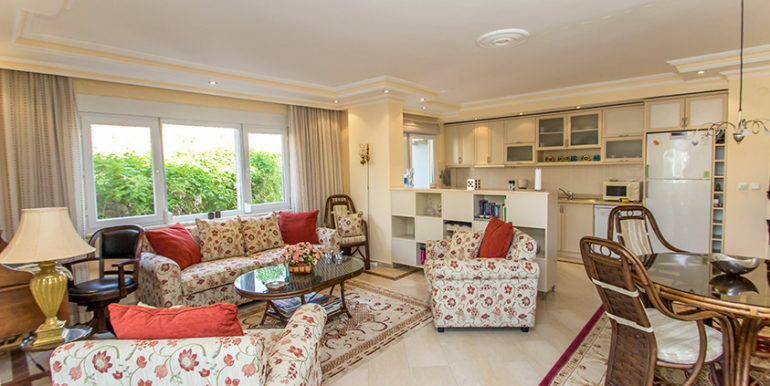 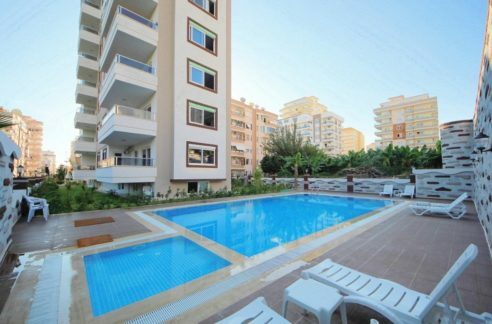 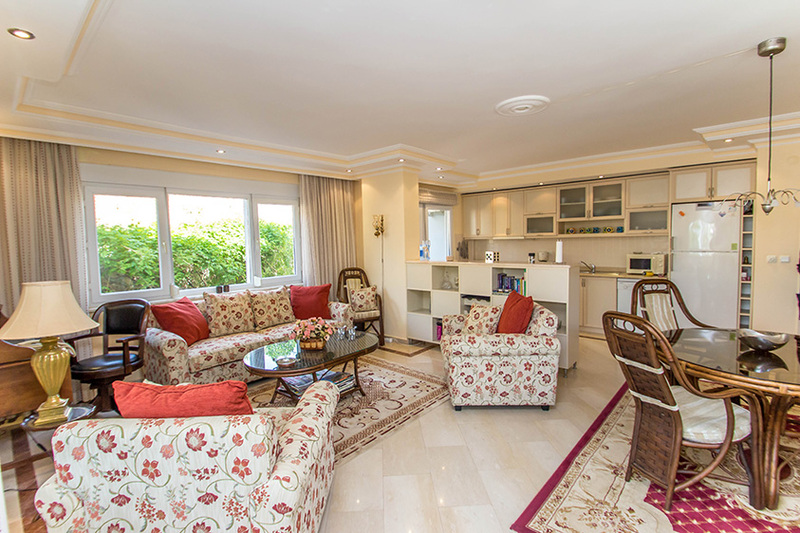 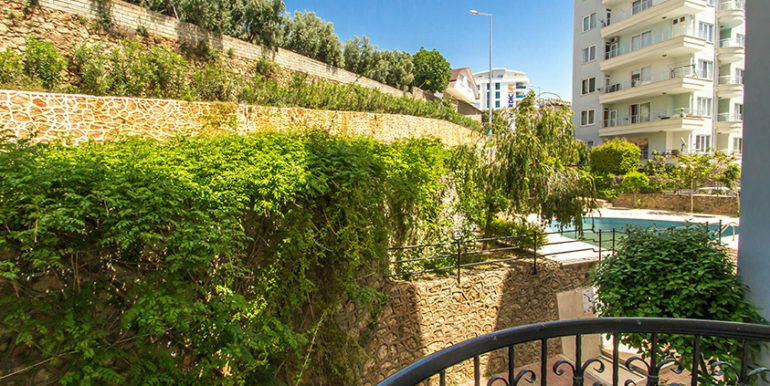 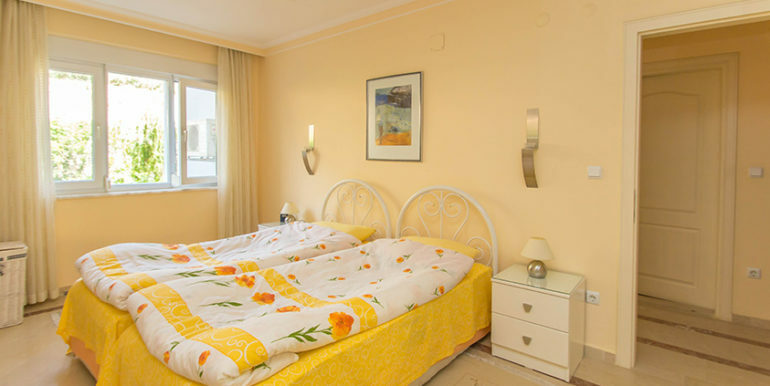 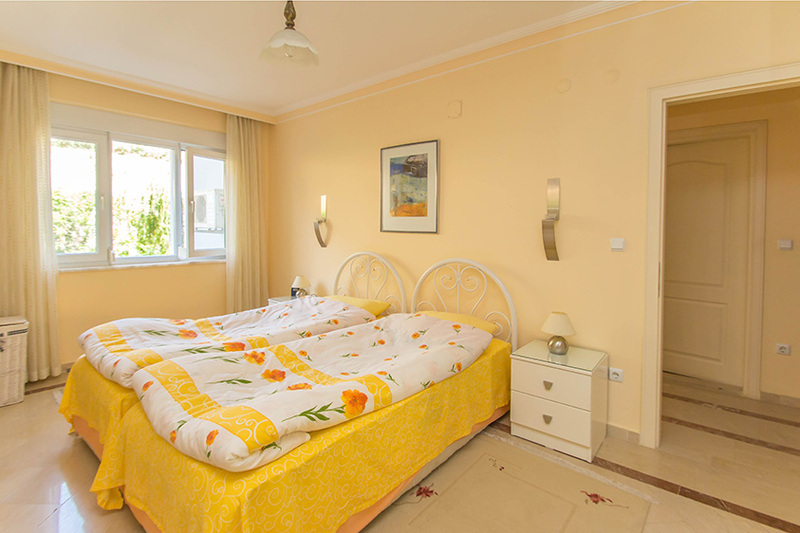 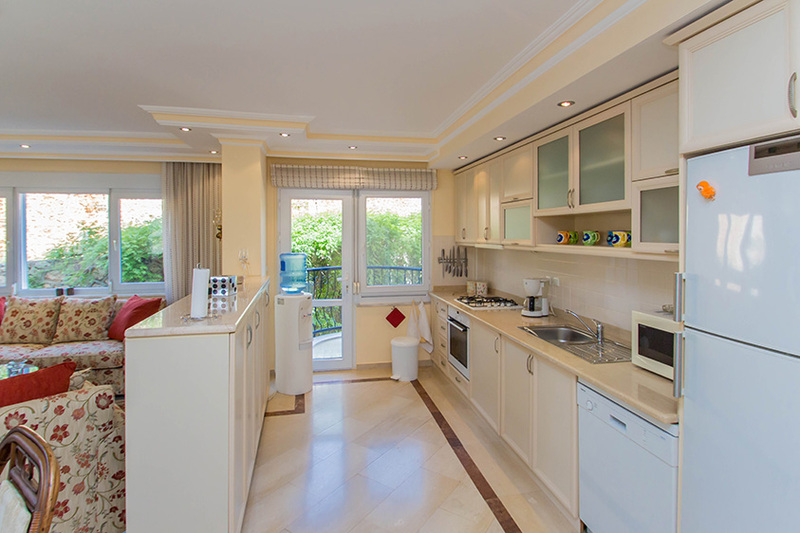 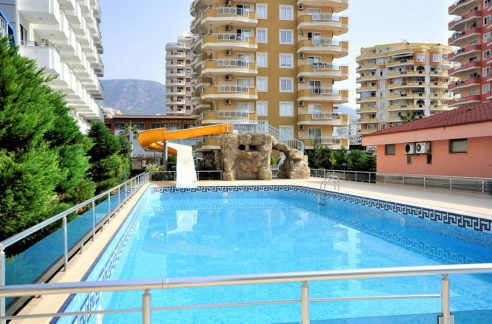 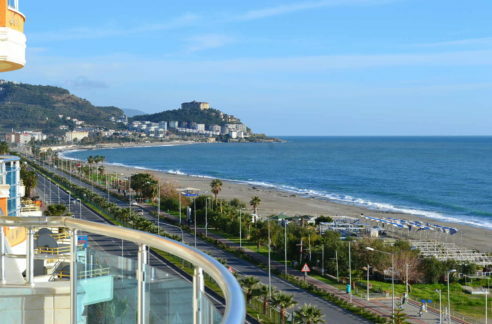 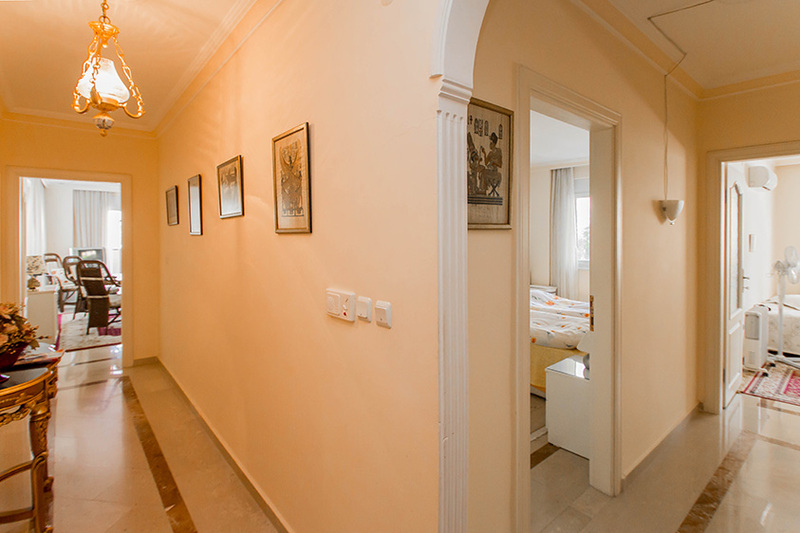 The apartment is located in Alanya Tosmur just 100 meters to the beach. 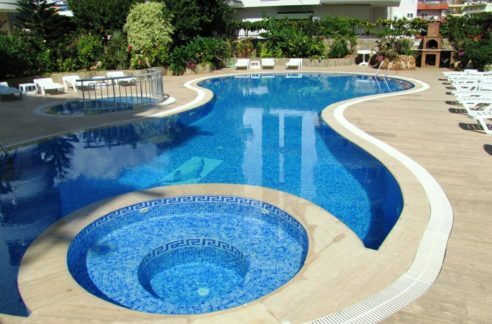 Shoppings are right on your doorstep. 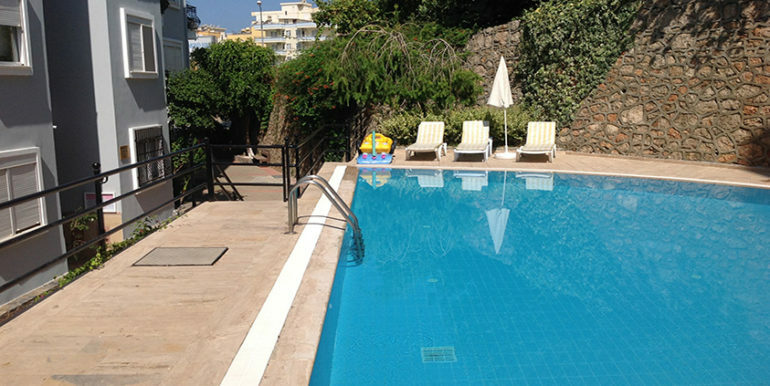 The house offers a quiet location and swimming pool for the summer months. 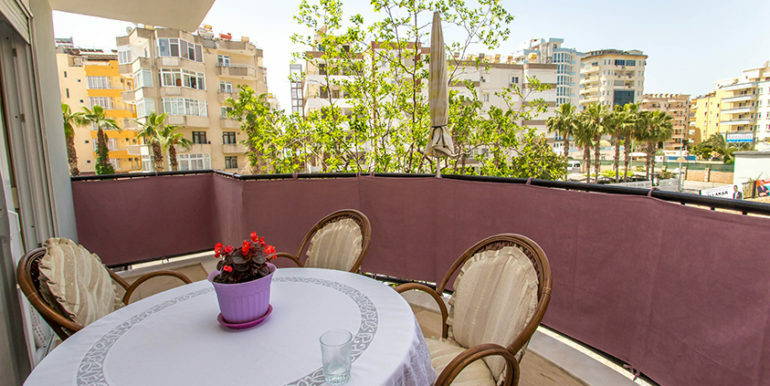 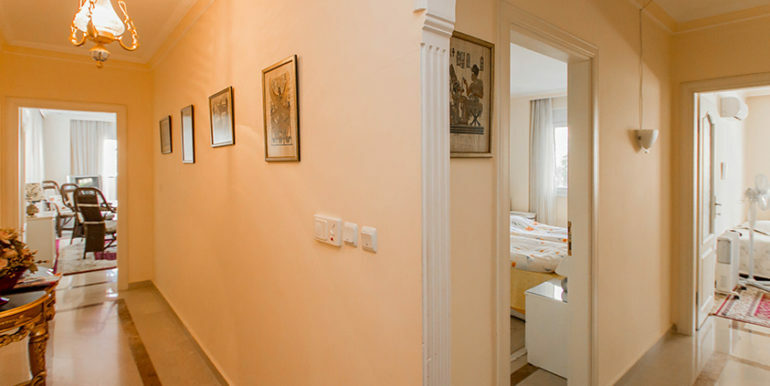 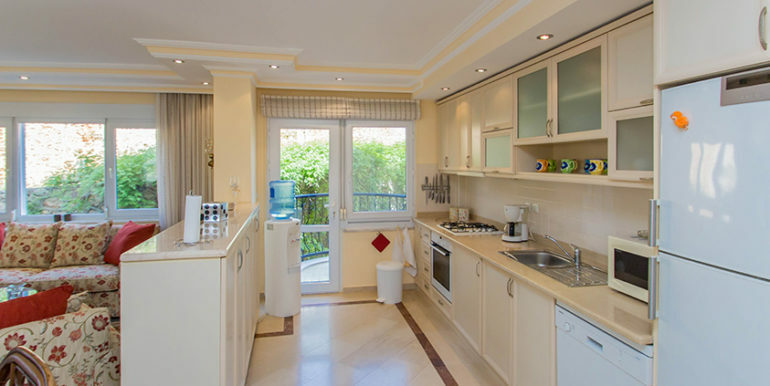 The apartment is 105 m2 with a living room, kitchen, 2 bedrooms, bathrooms and balconies. 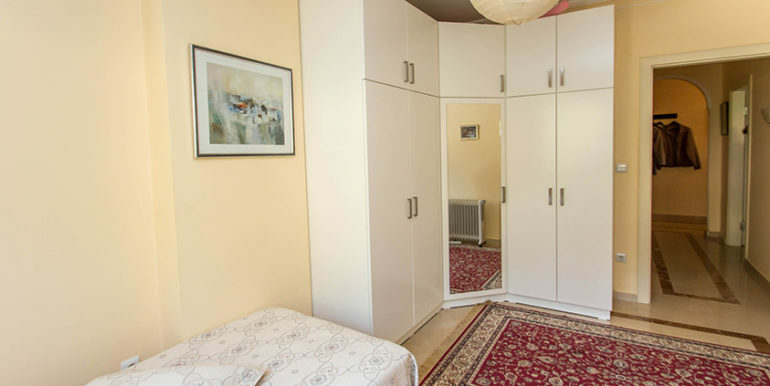 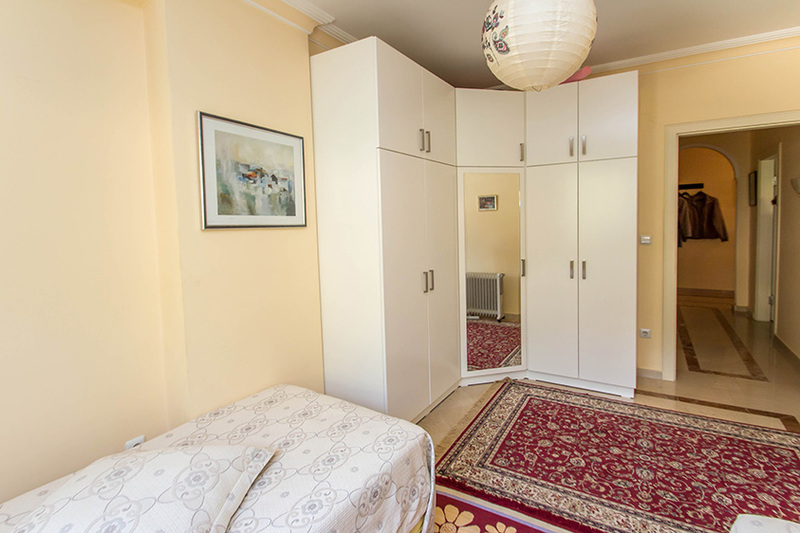 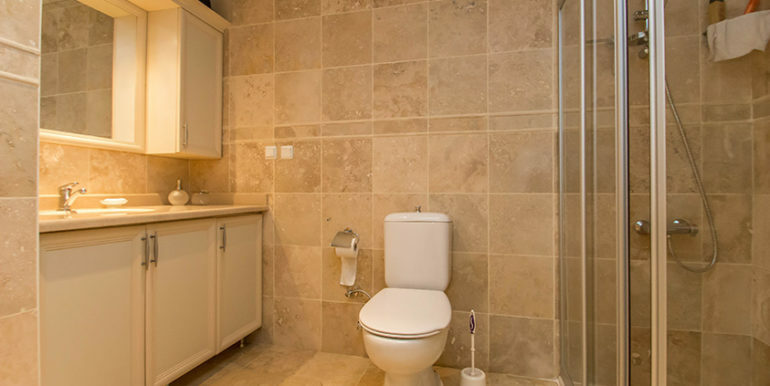 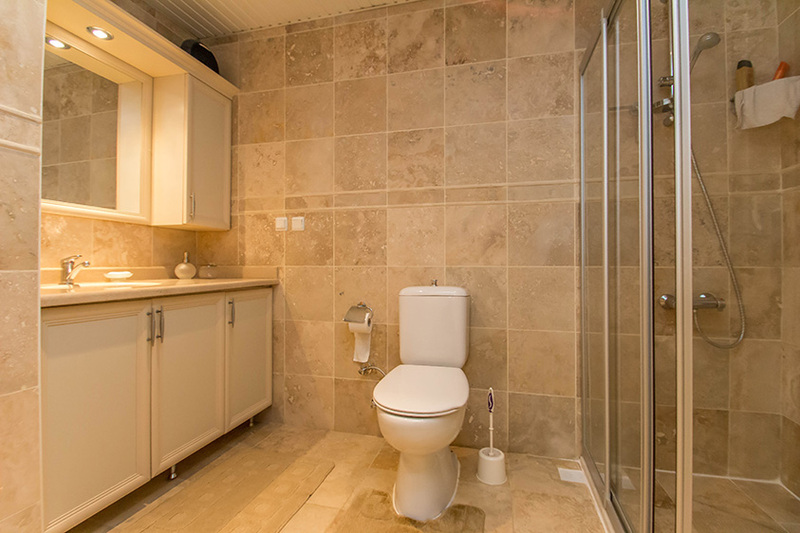 The well-kept apartment is furnished in offer.